The Rage Circus Vs. The Soulless Void: Death's Dance Blog Tour makes its stop at The Rage Circus! Death's Dance Blog Tour makes its stop at The Rage Circus! 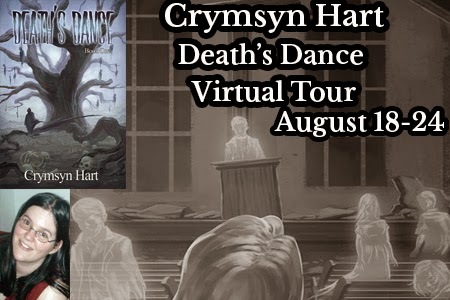 Join us tomorrow when Crymsyn Hart's blog tour for her gripping paranormal tale Death's Dance makes a stop at The Rage Circus!